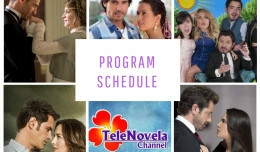 Passion: Episode 45 | TeleNovela Channel - Bringing you closer to lifes drama. Ines tells Santiago to cancel her wedding to Vasco since Vasco doesn’t love her. Ricardo confides to Camila that he was incriminated for a crime he didn’t commit that’s why he became a pirate. Meantime, Sofia pressures Ofelia to tell the truth about Santiago since her son went to see Ursula and thinks he likes her. Camila tells Don Jorge that she wishes to buy the mill concession, not as Justo’s daughter but as Mrs. Lopez de Carvajal.